WHEN I WAS GROWING UP in Southern California, Ventura was always the place to be. There were miles of sandy beaches, record shops, and a perpetually hopping In-N-Out Burger. As a teenager, punk and reggae shows at the Majestic Ventura Theater and sunsets at Emma Wood State Beach were as good as it got. Somehow, this blue collar beach town transcended the suburban monotony of the South Coast. Idyllic, yet rough around the edges, and effortlessly cool. Later, as an adult living in Ventura, I discovered the subtleties and subcultures that define this diverse community; I explored every neighborhood and met lifelong friends. Now, living abroad in Europe, Ventura’s often on my mind: the always fresh ocean air, the laid-back-yet-passionate people, trail running with my dog at Arroyo Verde Park. California certainly has no shortage of beach towns. Yet Ventura is a place to visit and rediscover again and again. Soulful and distinct, here you can leave pretense at the door and discover the region at its best. It hits the sweet spot on the South Coast. 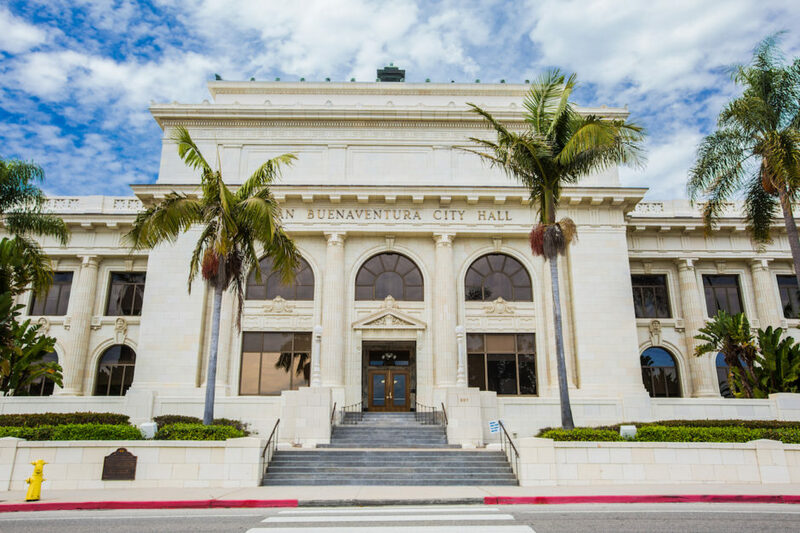 In the past 20 years, Ventura has transformed itself — downtown has become a dynamic hub for the arts, food, music, and culture. With its slow growth policy, Ventura is developing existing neighborhoods rather than sprawling outward. The city also aims to keep hillsides wild and houseless through the Ventura Hillsides Conservancy. Compared to L.A., Ventura has less traffic, fewer tourists, a family-friendly vibe, and easily accessible outdoor activities. While you shop Downtown, deer graze on hills above and dolphins streak through waves down at the beach. Compared to the glitzy towns to the north, Ventura is more affordable and approachable. You might not see any supercars or celebrities, but you can score a beer on the pier for $2 and stay in a beachfront hotel for around $150. Of course, it’s also easy to visit those other worlds. Hop on the Amtrak Surfliner near Downtown and take in the Pacific aboard this coastal rail line with special racks for bikes and surfboards. It’s a storied city made up of multiple characterful neighborhoods. The Chumash were among the first people living here, on the coast and in the Los Padres Mountains. According to historians, food was so abundant that they led a life of leisure. The Museum of Ventura County documents their history, including masterfully woven Chumash baskets. In 1542, explorer Juan Rodriguez Cabrillo is said to have described the Ventura region as “the land of everlasting summer.” In 1782 — no doubt inspired by Cabrillo’s description — Junipero Serra founded the San Buenaventura Mission. Still in operation and open to the public, the mission gives fascinating insight into Spanish California. Today, several distinct neighborhoods make up this city of just over 100,000 — you can explore Downtown, Midtown, Pierpont, the Avenue, the East End, Ventura Harbor Village, or the College Area — and each has its own flavor. Downtown’s palm-lined Main St. is an eclectic mix of historical buildings, quirky shops, cozy wine bars, and award winning restaurants. Try Paradise Pantry or Nature’s Grill & Juice Bar. Drinks? Check out Dargan’s Irish Pub or El Rey Cantina. In Midtown, you’ll find the Pacific View Mall, intimate residential enclaves, and two top-shelf restaurants right on the edge of the neighborhood: Café Nouveau (brunch on the flora-filled patio is picture-perfect) and Café Zack (try the Tuscany Salad or the Lobster with Sweet Corn). Pierpont is classic California. Small lanes lined with beach cottages and modern marvels lead to sand and the Pacific. Picnic at Marina Park, eat at Social Tap or the Sushi House, and walk, ride, or cruise to the pier. 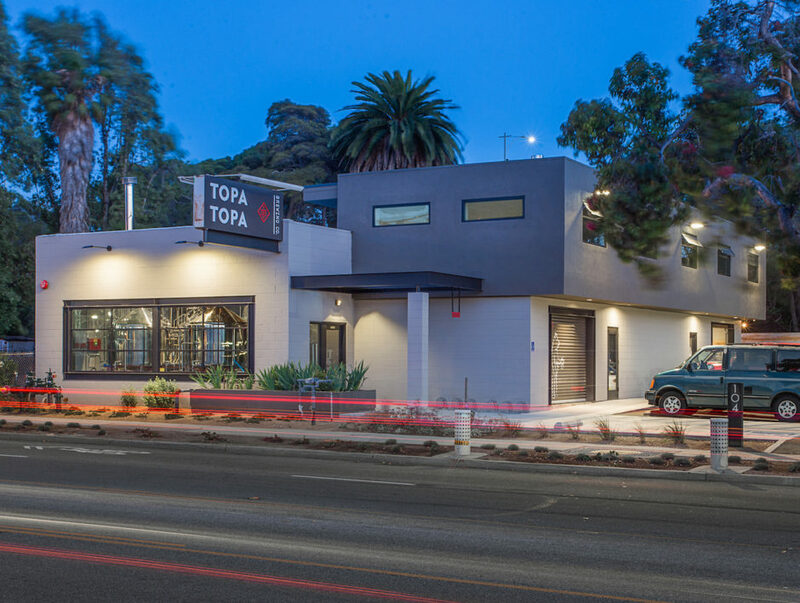 The Avenue, a funky, gritty neighborhood on Ventura’s west side, is worth a visit. Here you’ll find diamond-in-the-rough Mexican taquerias — like Lalo’s, where you can get a delish veggie burrito and lounge under patio umbrellas — and undiscovered thrift shops. Arts play a prominent role in Ventura. The Bell Arts Factory — a local nonprofit that offers art classes and studio rentals — and WAV (affordable housing and workspace for artists) are testaments to Downtown’s creative spirit. The Art Walk draws thousands of people to Ventura’s Westside Cultural District and historic Downtown every April, and the Rubicon Theatre Company puts on world-class performances in a repurposed church. ArtsVentura keeps up-to-date info on local happenings. Live music can be found every night of the week — Bombay, Amigo’s, Discovery, The Tavern, and Squashed Grapes are but a few venues for music of all genres, and the aforementioned Majestic Ventura Theater hosts international and national touring acts on a regular basis. It’s Americana meets ocean vibes. Nothing says classic Americana like a county fair, but a fairground steps from the Pacific is pure California. Every August, people from all over flock to the Ventura County Fair to show and sell their best. It’s a mix of livestock and leather, arts, music, and rodeo, and fried food galore — all in a carnival atmosphere. Over the years, live acts have included Jimi Hendrix, The Grateful Dead, The Beach Boys, Smokey Robinson, and everything in between. Affordable, authentic, and totally Ventura, this is the place to be in August. Ventura Harbor Village is certainly not the biggest in California but offers unparalleled views of the Channel Islands, the Los Padres Mountains, and plenty of dining options. The Greek, Andria’s, Brophy Bros, and the 805 Bar & Grilled Cheeseare perennial local favorites. It’s all about the food…and beer. Craft food and beer are all the rage. Few places, however, have the natural resources to keep things local. Ventura County is overflowing with fresh produce, seafood, and quality artisanal producers. Food Truck Fridays in Midtown features over 20 food trucks, live music, and kids’ activities. Farmers markets are held every Saturday Downtown and every Wednesday at the Pacific View Mall. Join Ventura Food Tours and discover local gourmet bites and wine pairings. Check out the Off Market Street Tasting Trail, including Four Brix Winery, Panaro Brothers Winery, and Plan B Wine Cellars. Ventura’s craft beer scene is brewing big time. The local original, Anacapa Brewing, can’t be beat for selection, burgers, and its prime location right on Main Street. At Surf Brewery it’s all about the beer, and their Avocado Honey IPA is worth the trip alone. Recent additions Poseidon Brewing, Topa Topa, and MadeWest are creating innovative beers and garnering loyal followings; Topa Topa’s Flatlands Saison, Poseidon’s Grapefruit IPA, and MadeWest’s Blanc will have you joining them. For the true beer lover, visit Ventura for the California Beer Festival in September, or for Surf ‘n’ Suds, with 45 breweries, board shapers, and live music. It’s one big Pacific playground. California really is all about beach culture; it’s not a complete cliché. Raw power, calming beauty, and an irresistible pull — the Pacific Ocean is Ventura’s heart and soul. Being a surfer here is almost the norm rather than the exception. And with year-round waves for all levels, it’s easy to see why. Surfers’ Point is ridiculously convenient and idyllic. With the pier, promenade, and Channel Islands in the distance, sunset sessions don’t get any better. Long peeling right point breaks, cheeky lefts, and unmatched atmosphere make for an awesome experience. Add Mondo’s up the coast and Rincon on the Santa Barbara border and you have one of the best surf destinations in the continental US. Visit in July for the annual Surf Rodeo, a competition / surf and music festival in Pierpont. Drive past on historic Camino Real (101 Freeway / Highway 1), and you might see kite surfers catching serious air just north of Surfers’ Point. Hitting the waves? Expect favorable wind direction and long rides. SUPing or kayaking is big here, whether at surf spots (respect the surfers), or in the network of canals in Ventura’s waterfront communities. Remember Scott O’Dell’s novel Island of the Blue Dolphins from grade school? It’s based on the true story of a native Californian woman stranded on San Nicolas Island for 18 years in the mid-1800s. 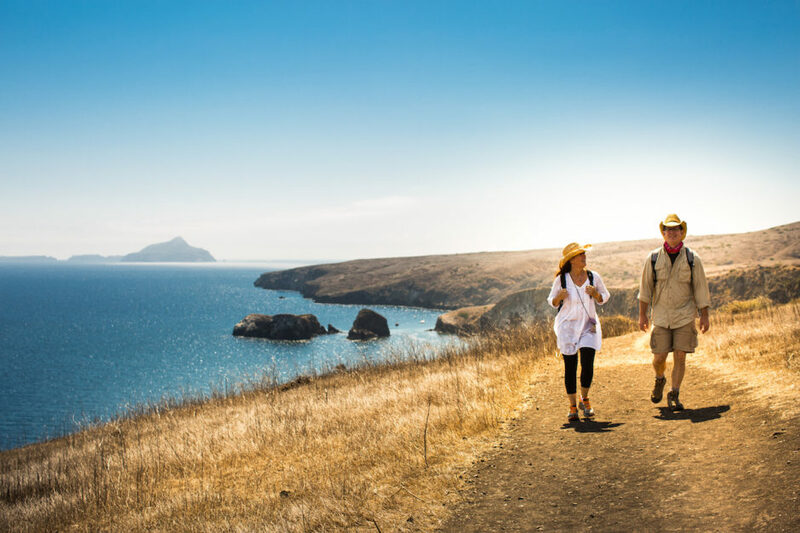 San Nicolas is one of eight islands that sit 15 miles off Ventura’s coast: the Channel Islands. With 145 species found nowhere else on Earth and 360-degree views of an undeniably beautiful ocean, these rocky outcroppings are perhaps the jewel in Ventura’s crown. Five of the islands make up Channel Islands National Park, and 1,470 square miles surrounding them are a protected national marine sanctuary. Island Packers runs daily trips out of Ventura Harbor. Santa Cruz is the largest island and jam packed with activities: kayaking through sea caves (including Painted Cave, one of the world’s largest sea caves), hiking across the island’s hilly spine, diving into kelp forests, surfing, or camping with views all the way to the horizon. Keep your eyes open for breaching whales, sea lions, dolphins, and, though rare, great white sharks. I once spent the night atop Montañon Ridge and awoke to an unforgettable summer sunrise across the channel: the California mainland ahead, its mountains and valleys full of contrast and misty magnificence; behind me, the island’s arcing shoreline and the vastly inspiring Pacific. It was perfect.